Angela is a native of New Orleans and a graduate of Louisiana State University where she majored in Sociology with a Criminology concentration and a minor in African and African American Studies. It was her time at LSU that Angela discovered a passion for working with underserved communities. Through the Office of State Park’s Louisiana Outdoors Outreach Program (LOOP), she worked to bring inner city students camping, canoeing and orienteering within Louisiana State Parks. In 2011, Angela began working as an AmeriCorps VISTA for the local Children’s Advocacy Center. As their Education Coordinator, she was committed to educating adults to protect children and prevent child sexual abuse. While there, she also successfully completed training for all elementary students in West Baton Rouge Parish in SCAN: Stop Child Abuse and Neglect. 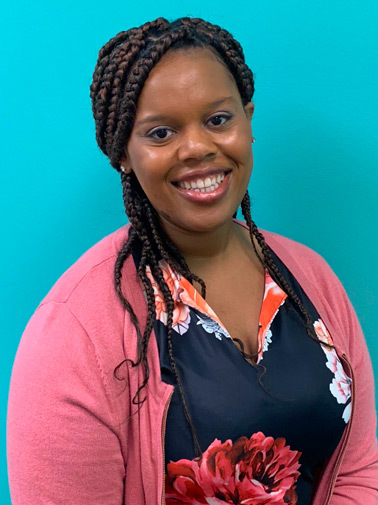 For the past five and a half years, Angela served as the Prevention Services Coordinator for Child Advocacy Services in St. Charles and St. John Parish. As the PSC, she was able to develop her skills in presenting and collaborating with others. These skills led her to serve three years as an Ambassador for new members and as an Advisory Board Member for the River Region Chamber of Commerce. She is also a trained facilitator of various curriculums, such as: ACEs: Adverse Childhood Experiences and Love146’s Not a #Number, Darkness to Light: Stewards of Children and Triple Parenting seminars. More recently, she has become a trained TBRI (Trust-Based Relational Intervention) Practitioner in the state of Louisiana. Angela is excited to be a part of the STAR family and dedicated to educating the community regarding sexual assault. When she is not training, Angela enjoys working in her garden, traveling and spending time with her family.